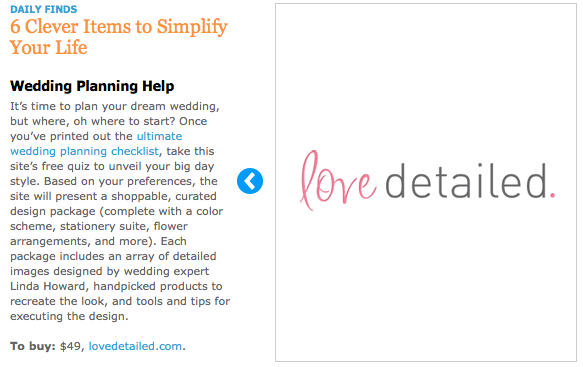 love detailed is featured on Real Simple in their “Daily Finds: 6 Clever Items to Simplify Your Life” article! 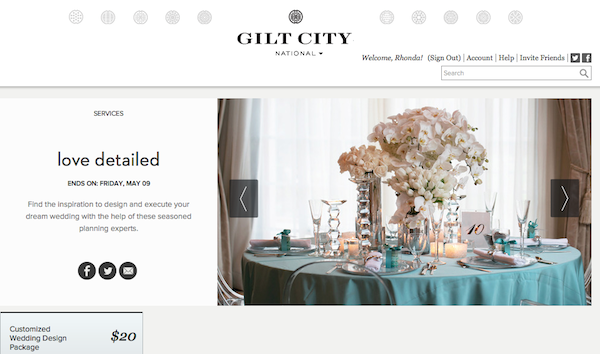 Find the inspiration to design and execute your dream wedding with the help of these seasoned planning experts. 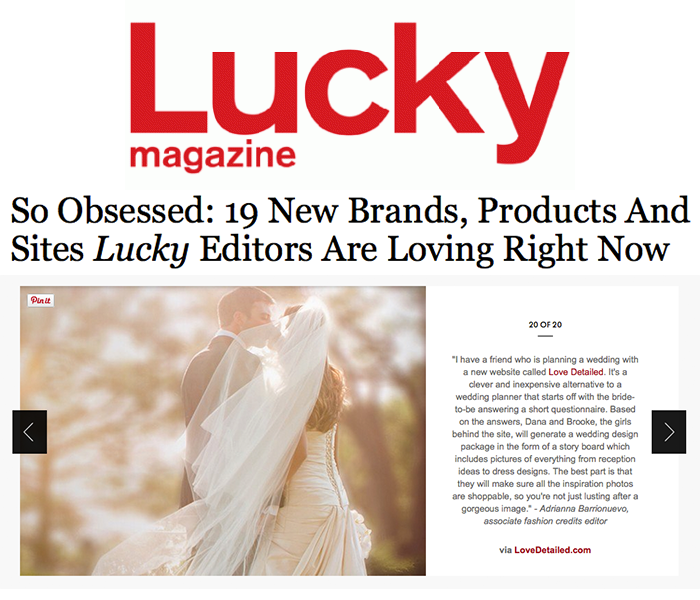 Love Detailed is featured in “19 New Brands, Products And Sites Lucky Editors Are Loving Right Now.” See the full article in Lucky Magazine here. 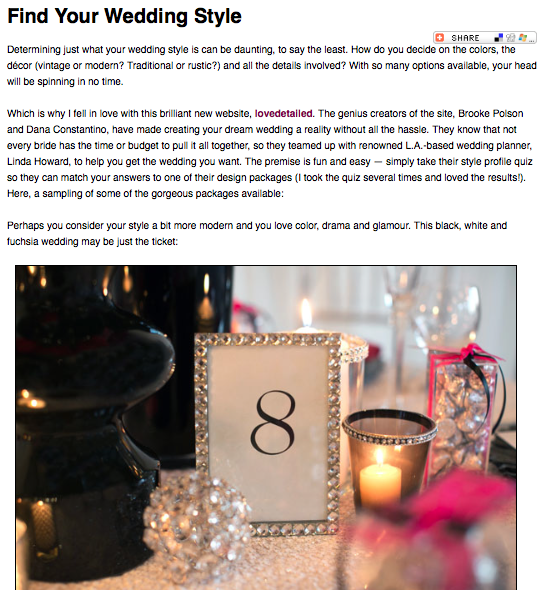 We are THRILLED to see Love Detailed featured in Bridal Guide with lots of gorgeous photos! 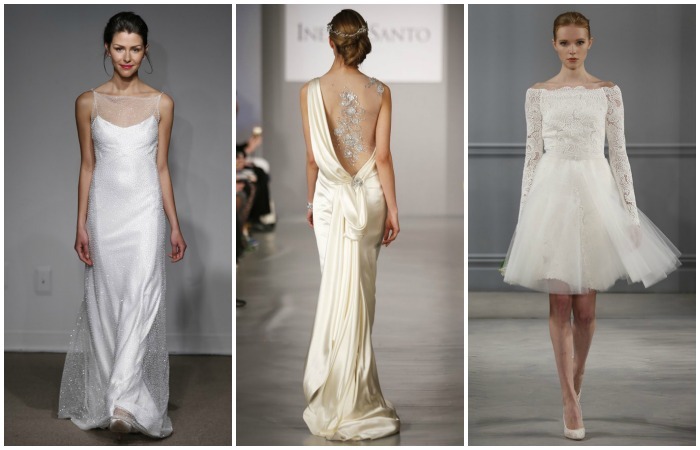 Click here to see the full article in Bridal Guide. 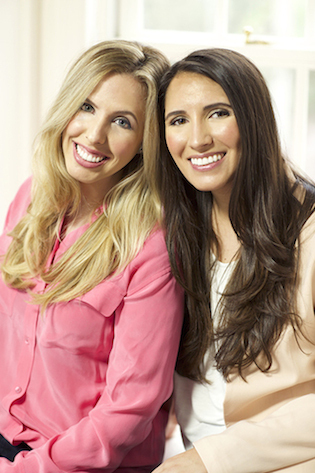 “Brooke and Dana are the brilliant and beautiful ladies behind Love Detailed, a groundbreaking website that literally puts wedding planning at your fingertips. 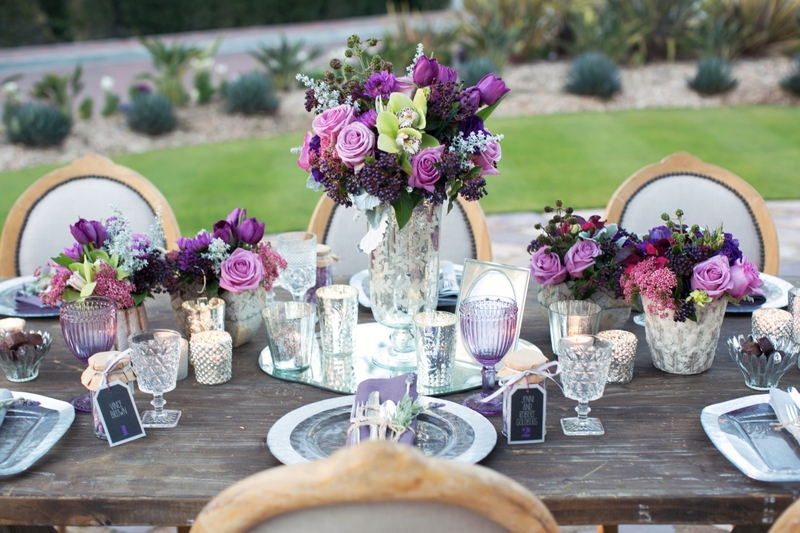 After working side-by-side with top event planner Linda Howard, the girls were inspired to make those breathtaking weddings accessible to brides everywhere. 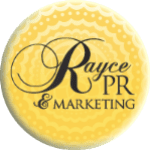 They spent over a year creating products, curating packages, and putting together a website that would take the guesswork out of planning a perfect wedding. 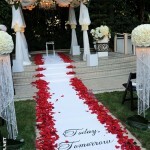 What resulted is a virtual wedding planner that will forever change the way brides look at designing their big day. Using Love Detailed is simple, convenient, and genuinely enjoyable. 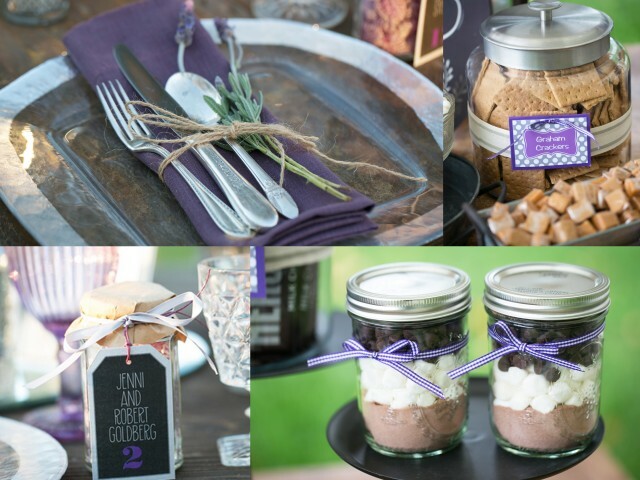 After setting up an account, brides are taken through the Style Profile Quiz and are immediately presented with a variety of personalized packages based on their results (we’ve shared one of our favorites below). For $49.99 you can purchase your package which includes detailed images of each product, access to purchasing them directly from the website, tips and tricks to help implement your design, and Linda Howard’s exclusive countdown calendar. 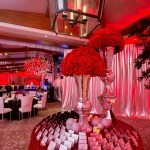 Brooke and Dana give you everything you would get from a professional event designer at a fraction of the price. What more could a bride-to-be ask for? 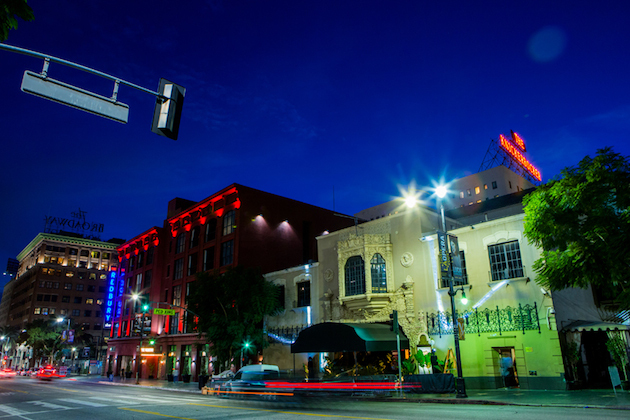 On “Day Two” the celebration continued as Rebecca and Ari’s friends stepped onto the red carpet in front of the iconic Avalon theater lit with broadway lights. 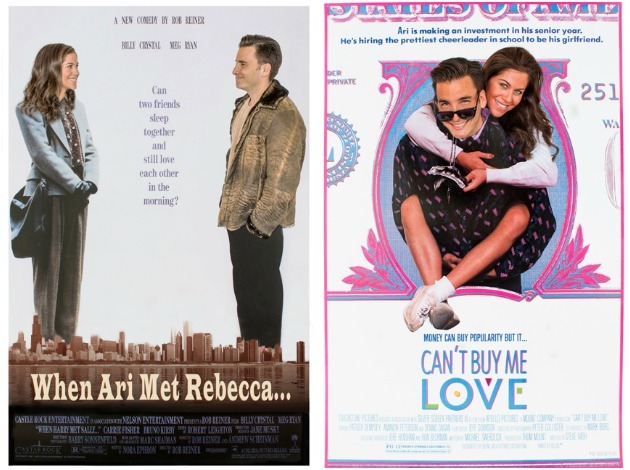 Personalized movie posters were placed in the photo boxes with Rebecca and Ari’s faces superimposed. 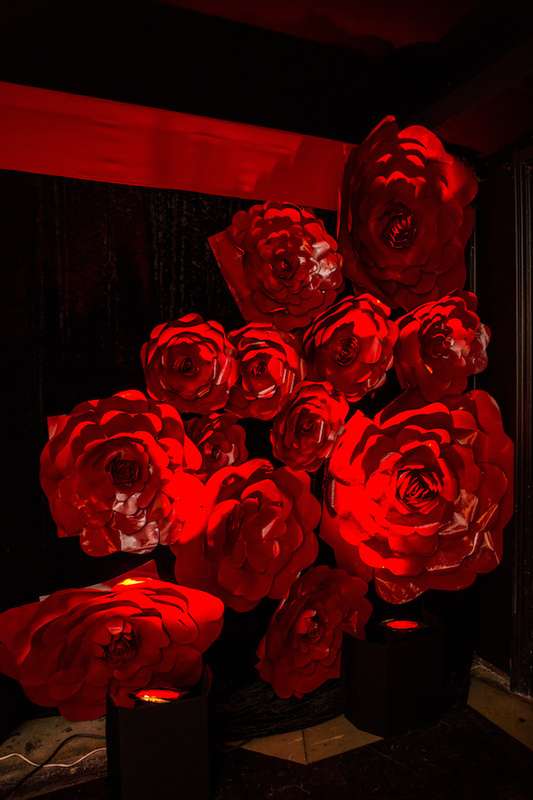 As the guests entered into the theatre… they had their photos taken in front of a step and repeat that was adorned with red-lacquered chanel flowers along with their names. 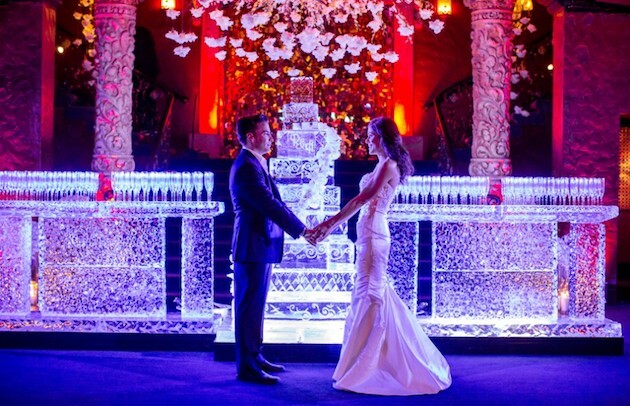 Their first stop was the 16 foot ice bar where they were served champagne. Guests were escorted upstairs where they were entertained with a piano bar, lounge act and incredible cocktails with hors d’oeurves. 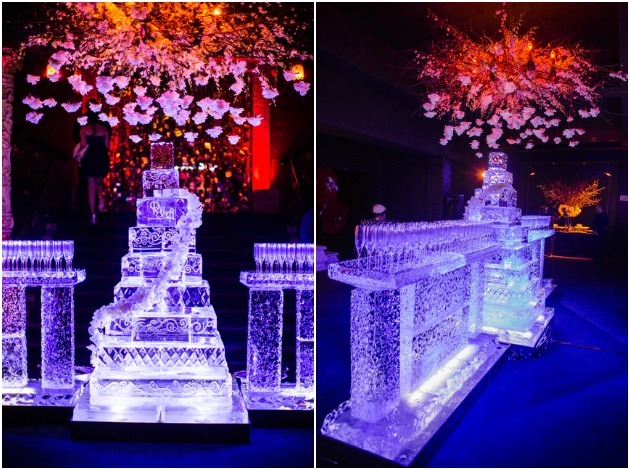 At the end of the cocktail hour, guests came downstairs to see that the same ice bar was now overflowing with shrimp, crab and oysters for them to enjoy. DJ Ant and a team of talented dancers performed throughout the night with a “headliner”, too hot to mention! None of their guests will be able to forget this incredible line-up! The ice bar was turned into a never-ending candy extravangza of all of their favorite retro candies. 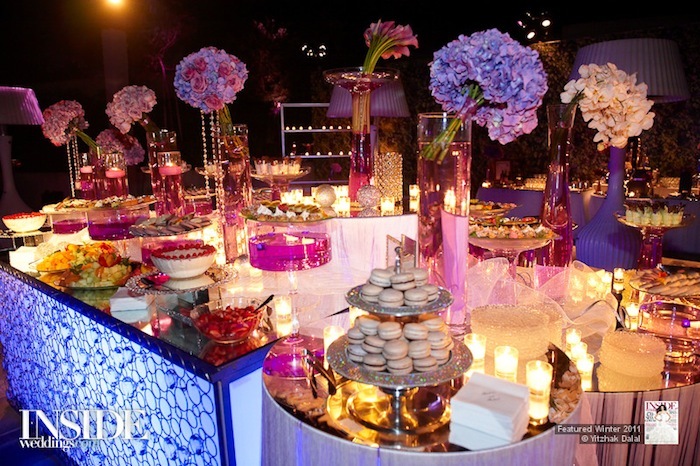 The guests enjoyed the sweet treats throughout the night and on their ride home. 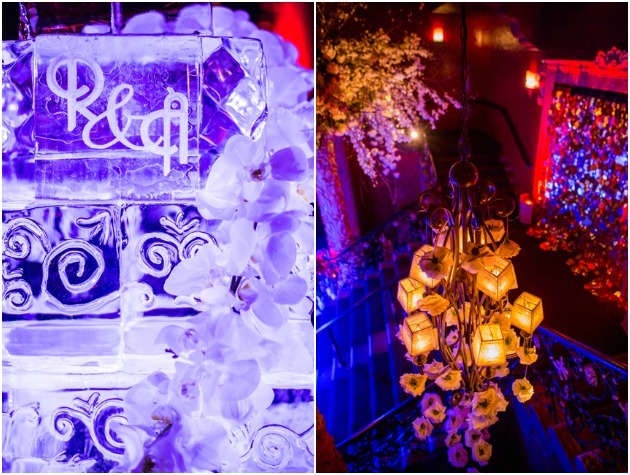 This was truly a magical memory for our bride and groom! Every single one of their guests went home with their photo to remind them of their night. From the beginning to end, it was a celebration of their dreams…. and then some. I was thrilled to be a part of it!! A “January Weekend Whirlwind” to bring in the new year! 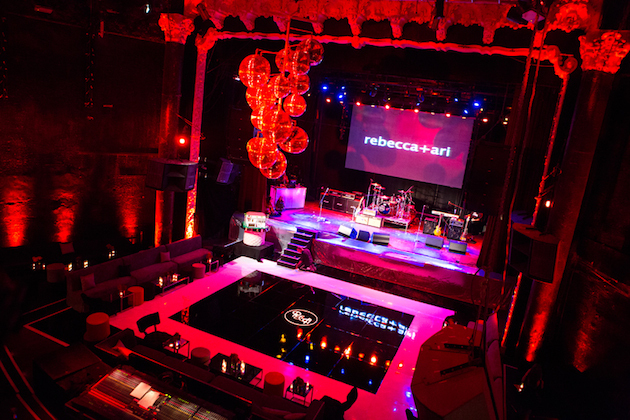 With 3 months to plan a wedding for 450 guests— we had the best time making wedding dreams come true!! 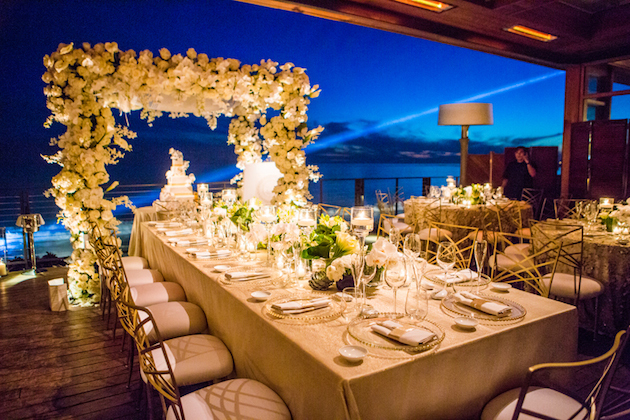 Saturday was the magnificent wedding ceremony and dinner reception held at Nobu in Malibu. 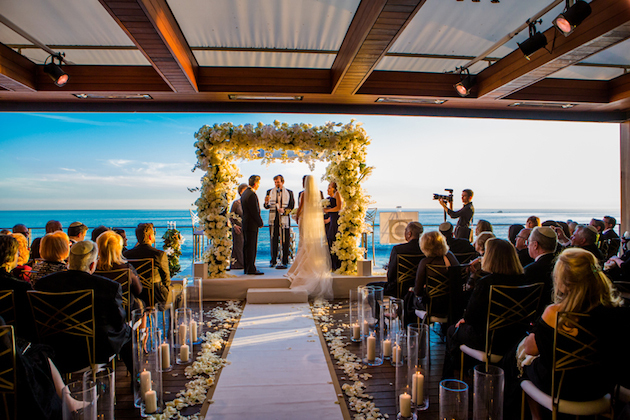 The California weather gods were with us as the sun was brightly shining down on our bride and groom..
With the crystal clear ocean setting and the most incredible clear skies, my bride and groom shared their wedding vows in front of 100 of their nearest and dearest family and friends. 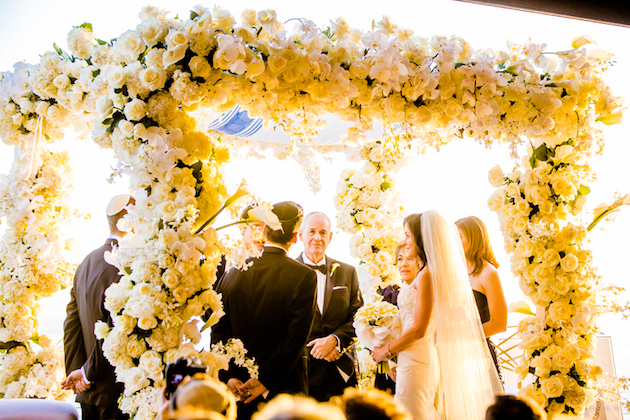 The spectacular Chuppah was overflowing with white and ivory flowers. 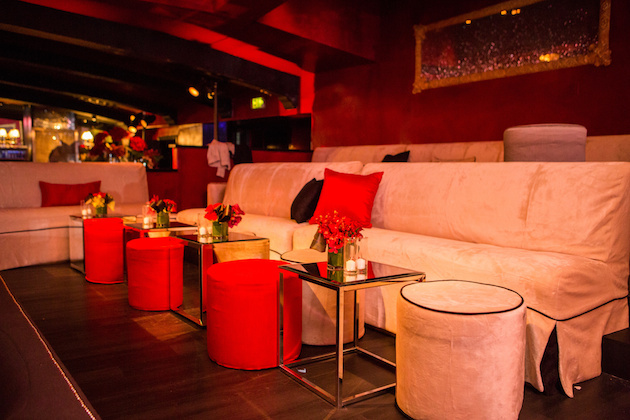 Guests were seated “theatre style” to feel as though they were a part of their breathtaking ceremony. 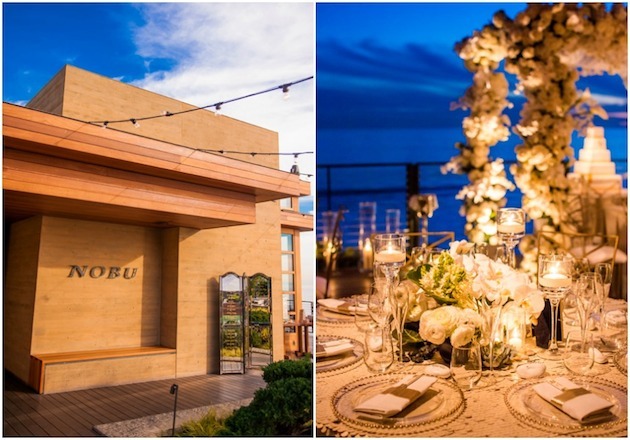 As the guests were ushered to the front patio for cocktails and hors d’oeurves, we were busy turning over the ceremony space into the most magical dinner reception. 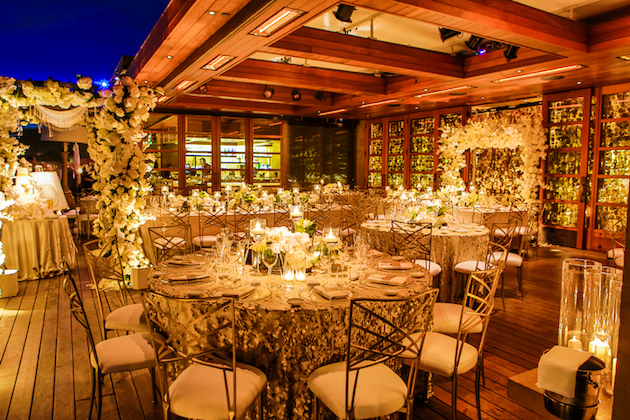 We transformed the chuppah into the perfect spot for their beautiful wedding cake and placed dining tables and gold chamelion chairs onto the back patio for the unmatchable 9-course meal that never stopped. 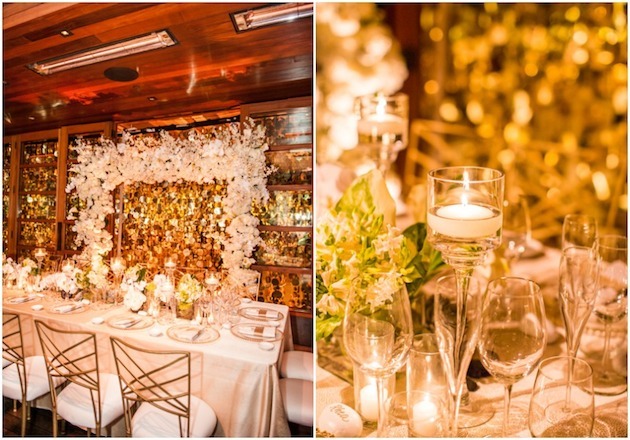 The champagne coin table linens were mirrored by the champagne coin curtains that draped the walls of the entire restaurant. 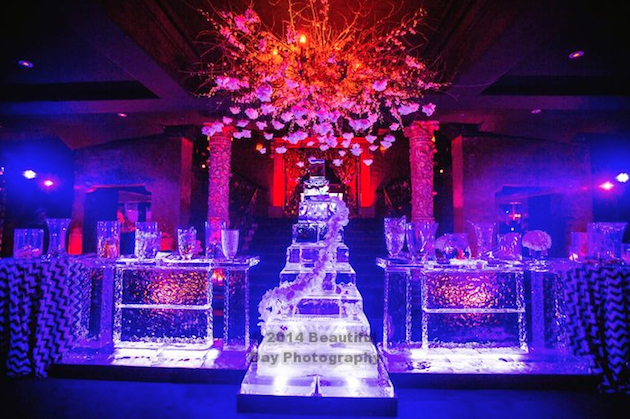 The romantic candlelight created an atmosphere that was the perfect blend of sophistication and magic. Hand-painted personalized stones were used as place cards and personalized white chopsticks were tucked into the napkins. 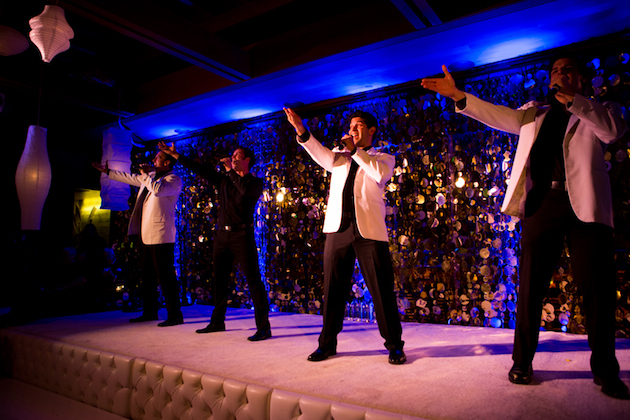 After dinner, the guests were surprised with a 20 minute show stopping performance by an awesome group that replicated the Jersey Boys.” The bride and groom joined them in their performance to make it even more fun for their guests. 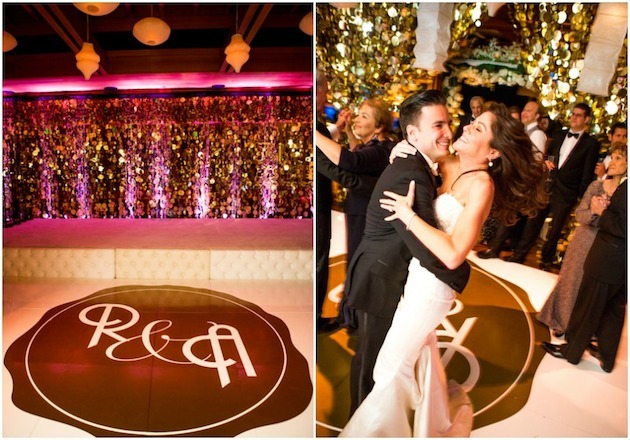 The monogramed white gloss dance floor had guests dancing the night away to the music of DJ Ant. Everyone left thinking, “it was the best wedding and celebration of my life” but, they had no idea what was to come the next night! I’ve been helping couples create their dream weddings for 16 years and the most important thing I’ve learned is that even if I produce a wedding that is elegant, sophisticated, tasteful and flawless…who will remember it if it isn’t perfectly tailored to the couple sharing one of the most important days of their lives with their friends and family? Your wedding day needs to be uniquely yours and it’s so important to take the time to really think carefully about all of the things you love and what makes you and your relationship stand out from the crowd in order to make that happen. A major part of my job is to delicately pull that information out of couples and find wonderful ways to incorporate what they love and what they envision. Starting with how they met, and getting to know their likes and dislikes, helps me intertwine their personalities into their wedding day to make this celebration unlike any other. Your personal touches will not only set your wedding apart, but they will reflect your style and will help to create a warm and wonderful connection with your guests. 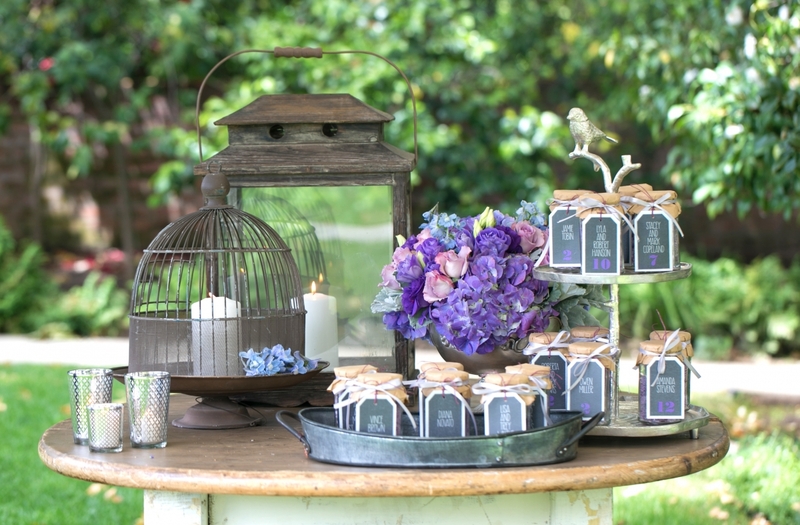 I call these touches “Talk Abouts.” When your guests leave your wedding, these are the little things they will always remember and talk about! Our “getting to know you” meetings are the perfect way for me to truly get to know my Bride and Groom. I always want to know how you met and how and where you got engaged; but other personal questions allow me to start personalizing your actual event. From your favorite colors, flowers, candy, dessert, ice cream flavor, drinks, songs, restaurants, vacation spots, exercise, weekend activities, movies, plays, and books….I am able to zero in on who you both are as people; and then my creative juices can start flowing. The Groom’s Grandmother was a baker another state and it was always her dream to bake her Grandson’s wedding cake. 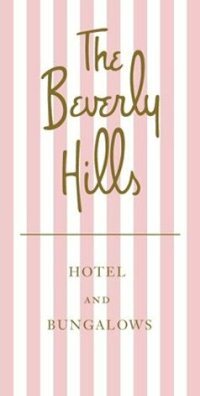 The wedding was taking place at The Beverly Hills Hotel in Los Angeles. On one of her visits to California, she lovingly baked the six layers, decorated them and froze them. On the night of the wedding, Mark’s Garden took the layers and placed beautiful purple flowers between each layer creating a spectacular wedding cake baked for a queen. We placed the cake at the entrance of the ballroom so that everyone could admire the cake throughout the evening. Personal cameras were going off all night and knowing that their Grandmother had her dream come true was that “something special” they will never forget. It is fun to incorporate a Bride or Groom’s career or hobby into making their wedding day come alive. One of my brides was a musical comedy actor and I thought it would be great fun to create their wedding program to look like a Playbill from the theatre. A Groom who was a comedy television writer created a “surprise” sitcom using look-a-like actors to present to his Bride after dinner was served. For chocolate lovers, we created an amazing, edible menu made out of chocolate with a photo of the bride and groom. We placed in a beautiful satin sleeve and placed it on the charger. Another couple loved eating jelly bellies every night. When he proposed to her, he placed her engagement ring in their dish full of jelly bellies for her to find. At the wedding, they showed a video re-enacting their engagement. 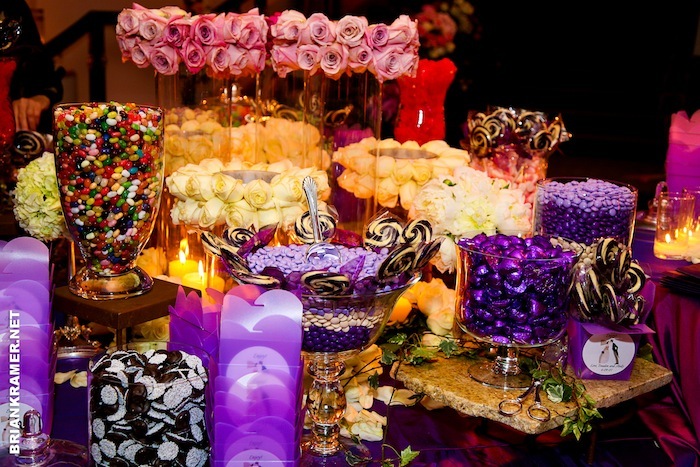 On the tables, we placed candy dishes with jelly bellies in them, with a blinking “diamond” ring sticking out. The Ceremony: A meaningful, spiritual, romantic and emotional part of the wedding; the time where you are sharing your vows in front of everyone you chose to witness your commitment to one another. 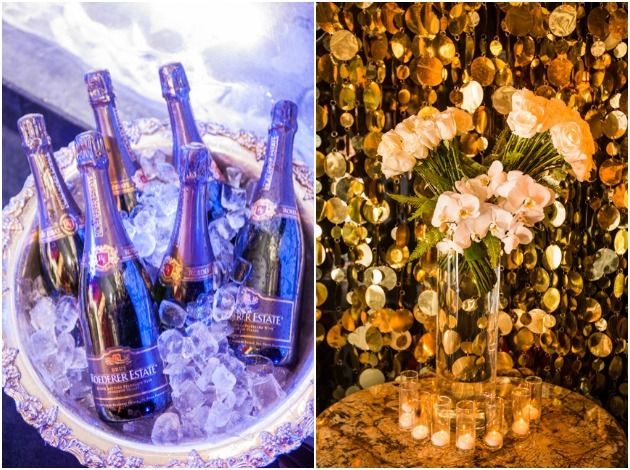 The Cocktail Hour: A time for your guests to mingle and start the celebration. Music is playing and everyone is chatting and getting ready to celebrate. The Dinner and Dancing Reception: The Bride and Groom are announced as “Mr. and Mrs.” and everyone in the room is feeling the excitement, the happiness and the love! They are ready and waiting to dance and celebrate! The After Party: The toasts have been given, the cake has been cut, and some of the guests are saying ‘Goodnight.’ The guests who are nearest and dearest are not ready to call it a night. This is the time where the music turns into the top 40’s, the late-night snacks might be served, the shoes come off and the atmosphere changes. Some people think this is the BEST part of the wedding! One of my couples met in New York at a coffee restaurant. We re-created the restaurant and that is where we served the coffee at the dessert presentation. Also, we took digital photos at the church wedding ceremony, developed the photos and placed one on the cover of a magazine. 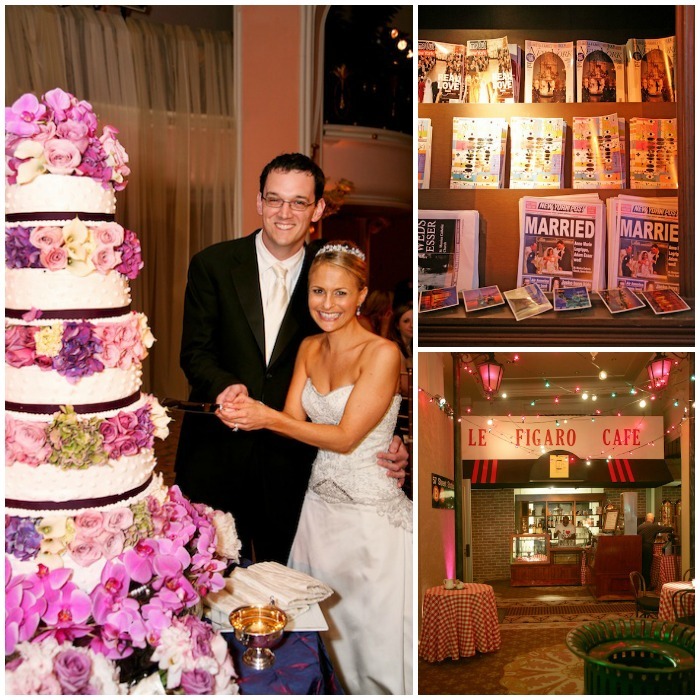 As the guests left the wedding, we set up a newsstand and they took the magazine home with them along with donuts, cupcakes and cookies served from a “bakery.” Too much fun! Remember that your wedding day should truly be YOUR wedding day! 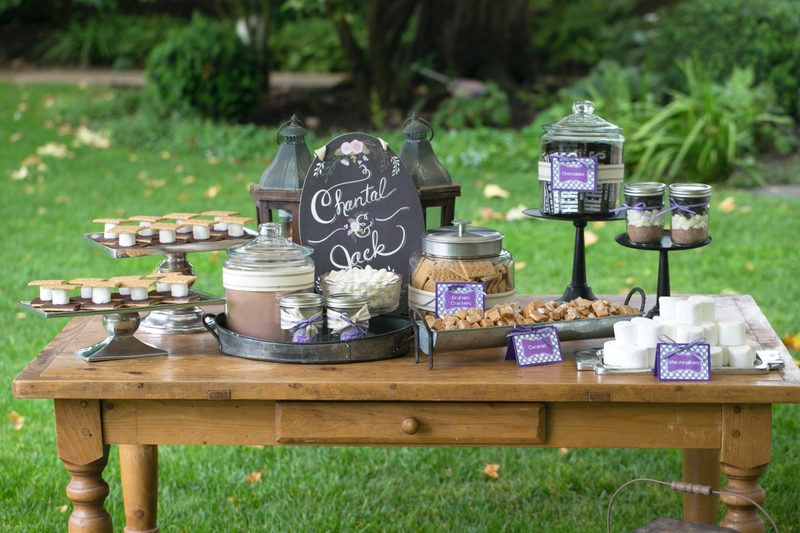 Take the time to create your “Talk Abouts,” and you and your guests will NEVER forget your special day! As originally published in Fall/Winter 2012 Elegant Living Magazine. 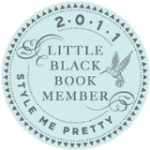 Here are my top tips when it comes to shopping for the most important dress you will ever wear. Don’t wait until the last minute to receive your dress. Allow yourself 4 weeks in case there are any last minute alterations. Bring someone with you: Take your nearest and dearest, and someone who you can really trust when you go to select and try on wedding gowns. You need an honest opinion before you make a huge purchase. 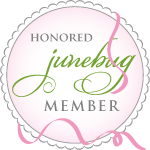 Before you shop the stores, shop the magazines: Inside Weddings is one of my favorites. They always have the latest and greatest. Select your wedding gown and revisit it several times before you make the final purchase: Keep an open mind. If it still speaks to you after some time you know that you will have made the right decision. It is a fun process. Do not rush it so that you won’t have any regrets. Ask Questions: The more questions, the better! What is the structure for deposit, billing, and final payment? How early do I have to order the dress? How long will it take to receive it? Are alterations fees included? If so, how many alt. visits are offered? If not, what are the estimates? Get in writing! Offer your future mother-in-law the opportunity to see your gown once you have made a decision on the gown. Have hair and make-up done with proper undergarments when trying on dresses. Order a dress that FITS, not necessarily your SIZE: Although you may wear a size 6 every time you buy something new, wedding dress sizes vary drastically from designer to designer. It is easier to take a gown in than out, don’t be upset if you have a size up. Some designers offer a size conversion chart that offer a more realistic view of the size that you should order based on your measurements. Make sure that you’re COMFORTABLE in your gown: Make sure that you are wearing the gown and the gown is not wearing you. Try sitting down to make certain you can breathe comfortably. You will be wearing this gown for 12 hours straight. You will want to feel comfortable and beautiful. You are going to be in your dress all day… taking pictures, through the ceremony, greeting gifts, at the reception, dancing, etc. It is important that you feel beautiful and comfortable in your gown. 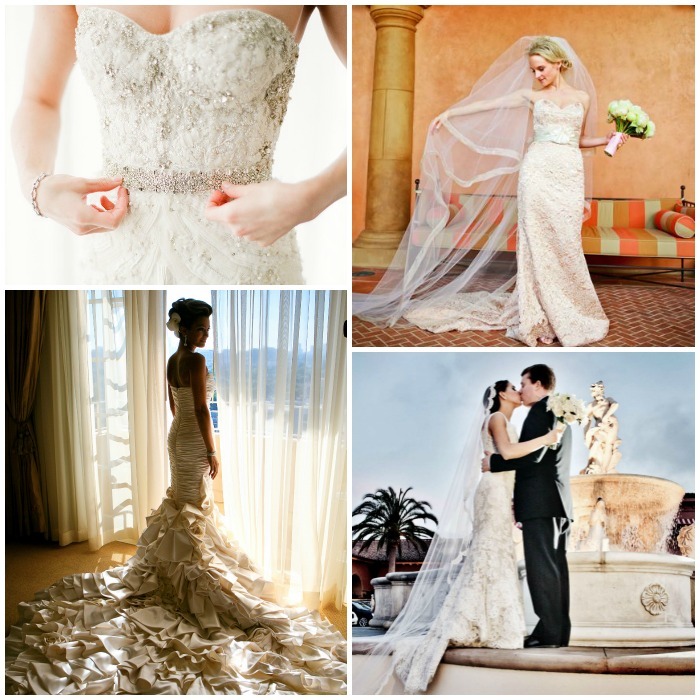 This comes from selecting the right gown for you and making proper alterations. Alterations should alleviate or eliminate all bunches, tugs, puckers, or pulls in the fabric. 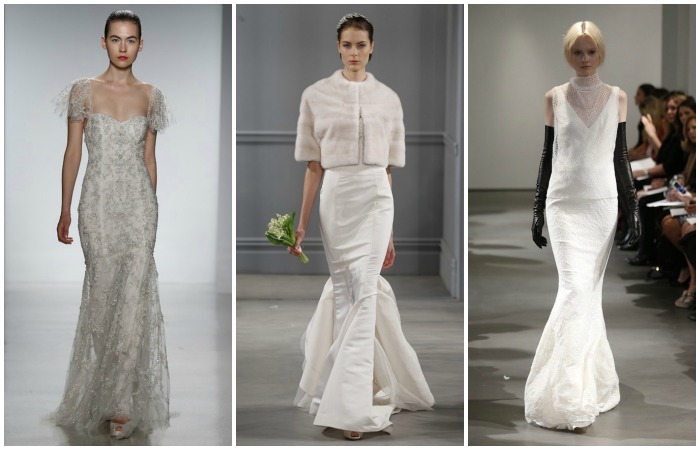 The 2014 Bridal Market was full of the world’s top bridal designers showcasing some of the most glamorous dresses you will find at your favorite bridal salon next season. From short dress and long sleeves to coverups and illusion necklines, here are some of the trends and designers that we loved most.